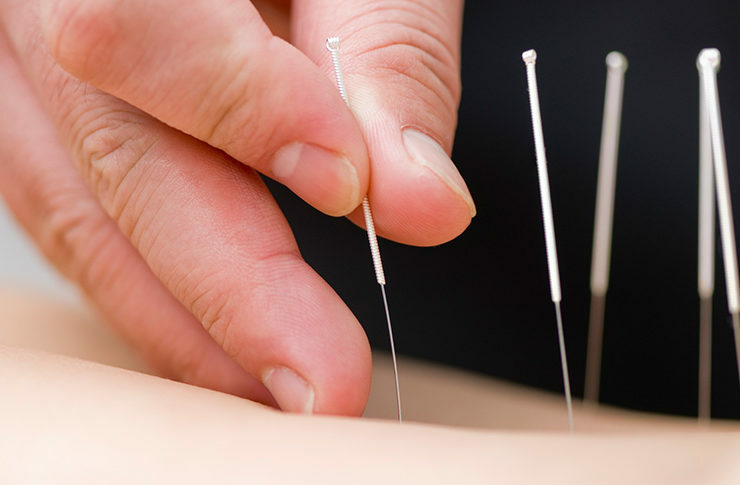 Intramuscular Stimulation, or IMS, is a form of what is called Dry Needling for myofascial trigger point pain that uses a fine gauge monofilament Needle attached to a plunger device. Although IMS uses implements adapted from traditional acupuncture, it is based on western Scientific, Neurophysiological principles. IMS was developed by Dr Chan Gunn, clinical professor at the University of Washington Pain Center. His published clinical research has been recognized by the Volvo Award Committee for research in Low back pain and he has been awarded the order of Canada for his contributions toward solving chronic pain. The Acupuncture style needle used in IMS is much thinner than the hollow needle used to inject medicine or draw blood samples. the IMS needle works similar to a reflex hammer used to elicit a knee-jerk; the hammer causes the muscle to briefly contract and then relax. However, instead of the entire muscle briefly contracting and relaxing only the muscle fibres in the immediate vicinity of the needle contract-relax. when the muscle relaxes, it loosens a bit, and with repeated stimulation the muscle continues to loosen further, and stiffness and pain subside. The effects of IMS are cumulative-each treatment stimulates a certain amount of healing, until eventually the condition resolves and the pain disappears, some patients remain pain free for many years, others may need periodic ‘boosters’ depending on the severity of their condition.